Located right across the street from UCI is this cute little place called Britta's Cafe. It was slightly hidden [to me] because I went to UCI for a year and a half and never saw it! My dearest Jud went here before and it reminded her of me so we went there for brunch. Inside there was a calm, soothing atmosphere and the plaid tablecloths somehow made me feel like I could be in Paris sipping tea with a croissant. 1. 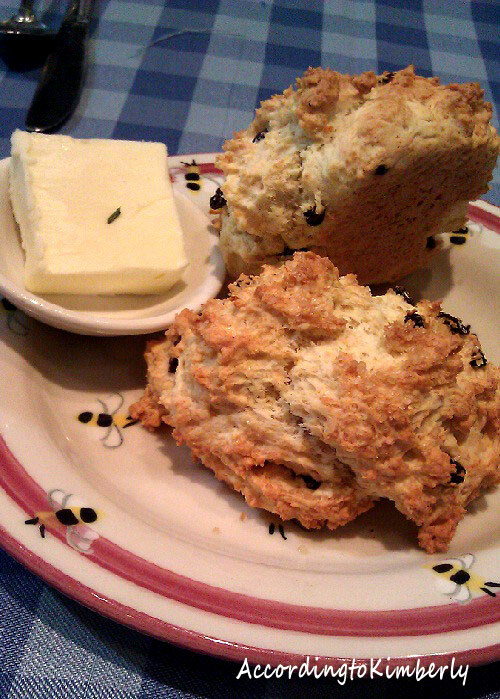 Biscuits & butter - what a nice change instead of bread & butter and the biscuits were warm and crunchy with hints of raisins at the same time. Plus, isn't the bumblebee plate so adorable? That already put a smile on my face. 2. 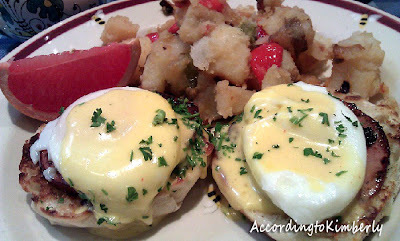 Eggs benedict - this was my first time trying it. At first I didn't think I would like it but I really enjoyed all the flavors of the eggs, ham, and muffin together. Definitely delicious! 3. 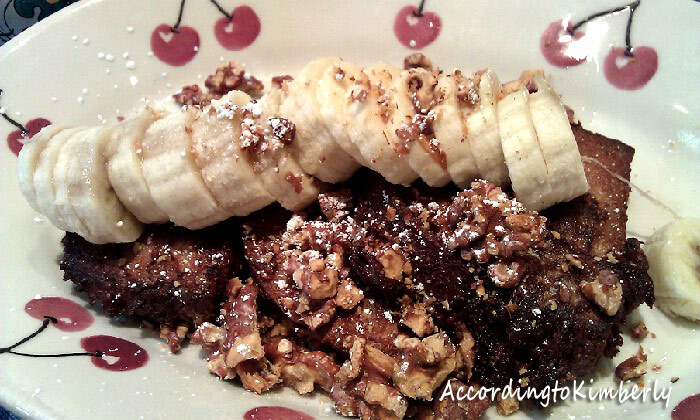 Raisin walnut French toast & bananas - very wholesome tasting compared to the usual French toast. Maybe it was because of the raisin bread but I still liked it; especially with bananas and walnuts, you can't go wrong. This is a great place to go to for any local UCI students who are early to class or have a small break. Relax and go enjoy a nice meal.